Did you know more people are switching to Jeep than any other brand! Are you looking for a new or used Jeep Renegade? If you are in the northeastern part of Oklahoma, come see our selection at Vance Chrysler Dodge Jeep Ram in Miami, Oklahoma. We are the premier dealer in this part of Oklahoma. You will experience Oklahoma neighbors committed to helping you find the perfect vehicle for your needs. 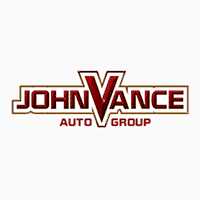 Vance Auto Group has been faithfully dedicated to keeping our customers our number one priority for over thirty years. We may sound small town, but did you know we have nine full-service dealerships? We have a huge selection of new and used vehicles to choose from. If you want to step into a new Jeep Renegade, come see us in Miami, OK.
Add some adventure into your drive with the spirit of Jeep packed into the Renegade. It’s fun, reliable and safe to drive both on and off busy roads. The Renegade Sport combines power and value in one exciting package and is ready for anywhere your road takes you. With six amazing models to select from, choose available in Front Wheel Drive and 4 x 4. The Jeep Active Drive Low System on the Renegade Trailhawk helps it earn the coveted Trail Rated badge- touting its ability to perform well under various conditions. The exterior is definitely a Jeep with its iconic grille and body that makes even the drive to work a thrill. Customize your Jeep Renegade with bold colors and an individualized personal decal from Jeep. The fun-filled interior adds to the experience with comfortable seating and plenty of storage space. Stay in touch with the UConnect System that offers hands-free connectivity and features a color touchscreen, Apple CarPlay, Android Auto, SiriusXM Satellite Radio, HD Radio, Navigation, SiriusXM Travel Link, Siri, Voice Command and more. We invite you to test drive a Jeep Renegade at Vance Chrysler Dodge Jeep Ram in Miami, OK. Come discover why we’ve been trusted for over 30 years when our Oklahoman neighbors choose their vehicle.